G.I. 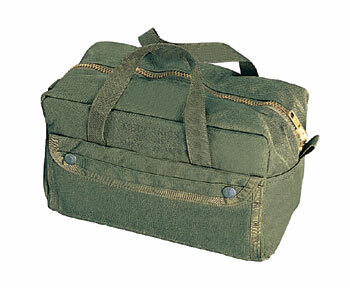 Type Mechanics Tool Bag with brass zipper and constructed with heavy weight cotton canvas. The dimensions are 11"x7"x6".